THE BEST ROLLER IN THE WORLD? THE PROOF IS IN THE PUTTING. If you’re looking for a way to improve your greens, you can learn a lot from how they do things at St Andrews, Pebble Beach, or Augusta. 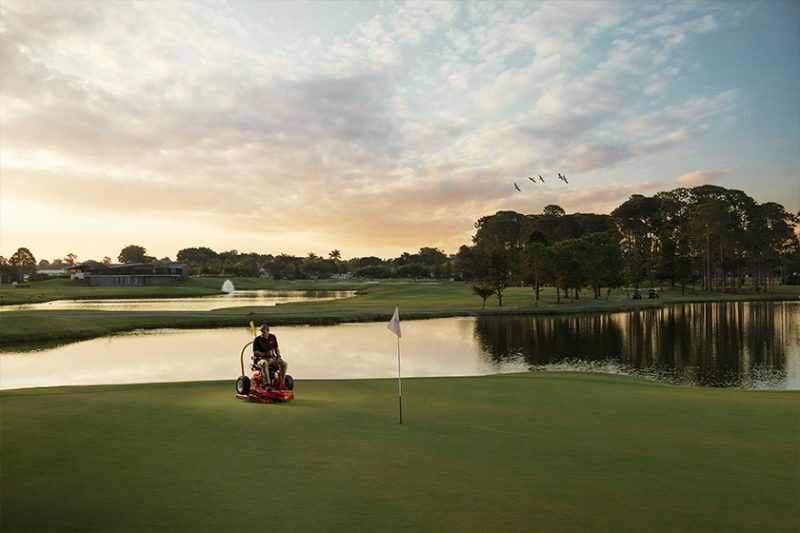 At the world’s finest courses, near enough isn’t good enough. When the eyes of millions are on the world’s best player as he lines up a putt which could snare him the title, the green has to deliver. Everything’s on the line for the guy who prepares it. That’s why they only prepare their greens one way: with a Tru-Turf roller. 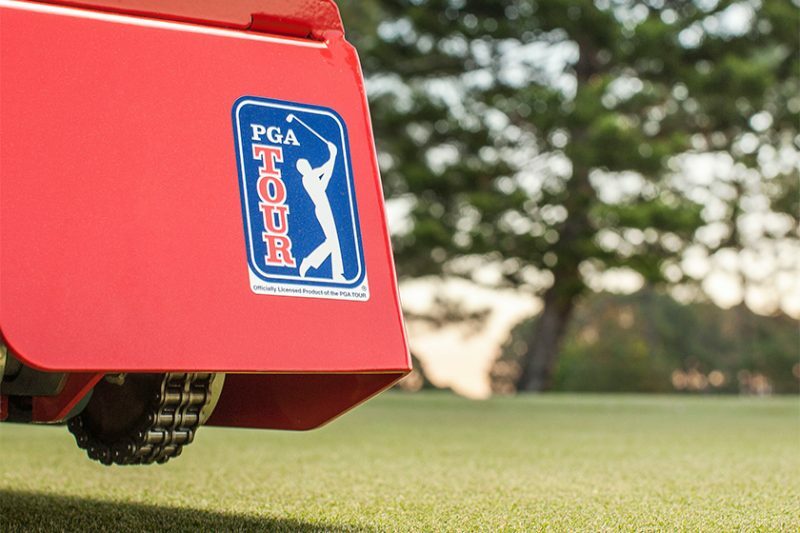 THE ONLY MACHINE ENDORSED BY THE PGA. A fast, flawless playing surface. No creases. No irregularities. Far less soil compression. A healthier sward. No clippings left behind. Just some of the benefits of using a roller instead of a mower. But not just any roller: the only roller officially endorsed by the US PGA for the result it delivers. A result achieved not through weight, but through intelligent, precision engineering. THERE’S QUITE A GULF BETWEEN OTHER MACHINES AND OURS. THE SECRET OF OUR ROLLERS… IS THE ROLLERS. Ordinary greens rollers are designed around a 36 inch roller. When a 36 inch roller meets a curve or variation in a grassed surface, there are two likely outcomes. The ends of the roller exert far more pressure on the green than the centre does, leaving uncompressed ‘slow’ patches in the greensward. Or the ends dig into the grass wherever they make contact, causing channels, lumps and other irregularities in the playing surface. 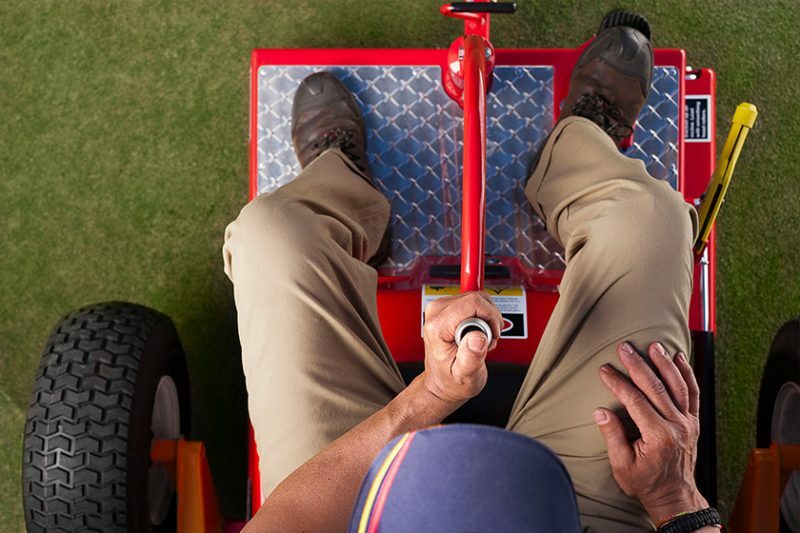 Tru-Turf machines, are completely different. They feature much smaller, 22 inch rollers in separate heads, each independently sprung, which follow and manicure a green’s contours far more accurately, producing a perfect, even surface. 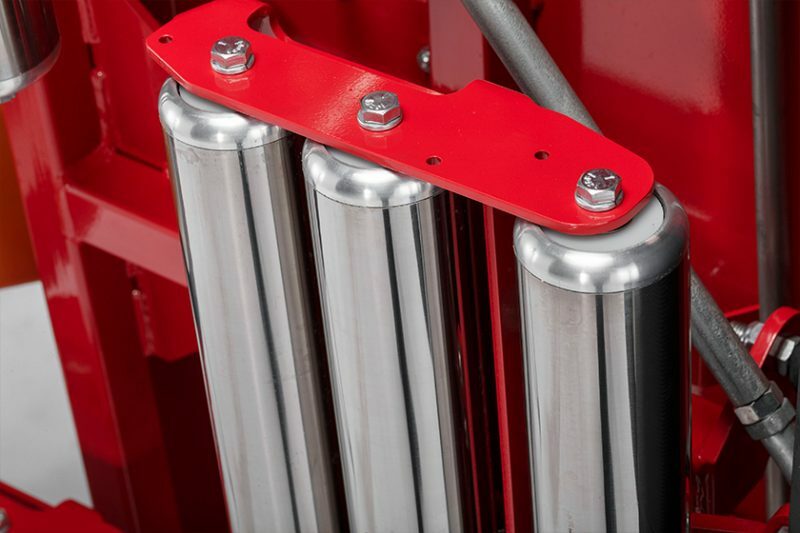 Multiple rollers create big advantages but pose complex engineering challenges. We’ve worked long and hard to overcome each and every issue. 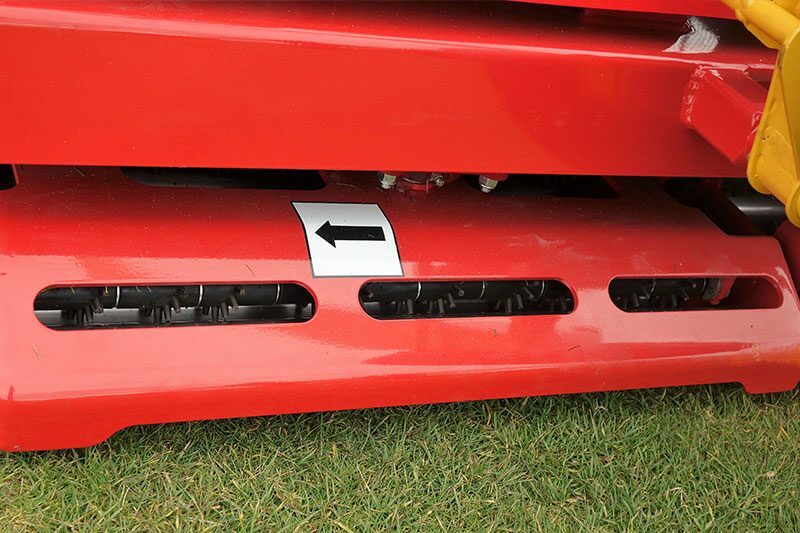 Each of the independent heads in a Tru-Turf roller accommodates three offset rollers, with the heads overlapping slightly so there is no creasing. Our patented system ensures even downward pressure is applied to each smoothing roller, while the rubber drive roller maintains maximum contact with the ground. Superior smoothing of bumps, a flawlessly even surface, and maximum traction and control at all times, in any direction and even on significant slopes. THE BEST PROTECTION FOR YOUR GREENS. Almost every powered groundskeeping machine incorporates hydraulics, with oil stored in the lines under high pressure. A breakage in the line and the resulting oil dump can be catastrophic for a carefully curated green. Tru-Turf minimises the risk, by using low-pressure hydraulics. 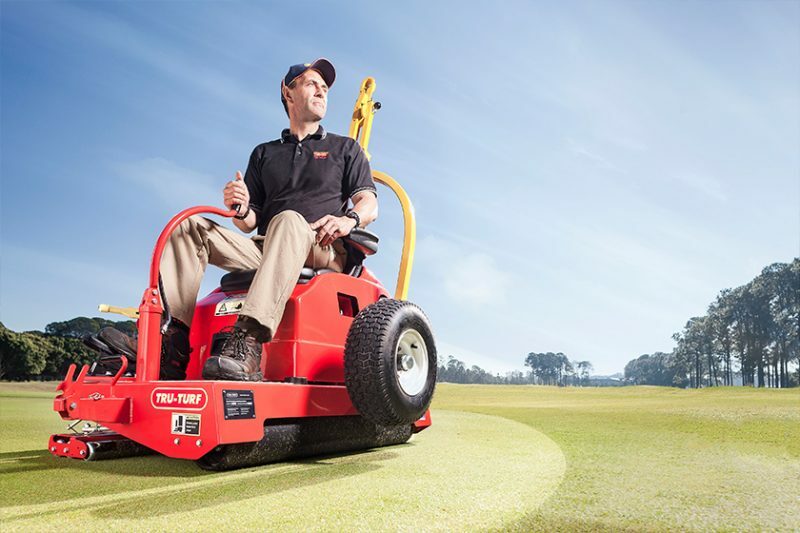 Low pressure lines are more reliable, and if a line in a Tru-Turf roller is ever damaged, oil leaks are easily contained, virtually eliminating the risk of damage to the green. PRECISION PLUS SPEED. IT IS POSSIBLE. 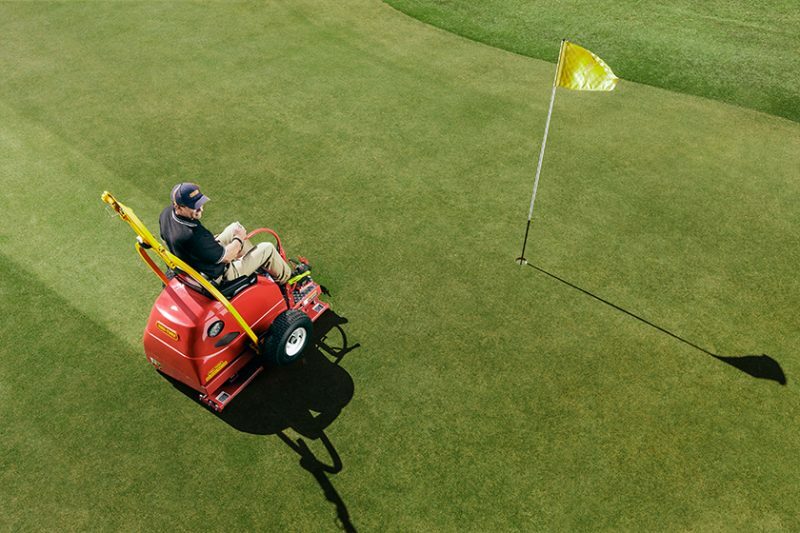 Using a roller to prepare your greens can be up to 30 per cent faster than mowing. However, most other rollers have a maximum rolling speed of less than 11km/h. 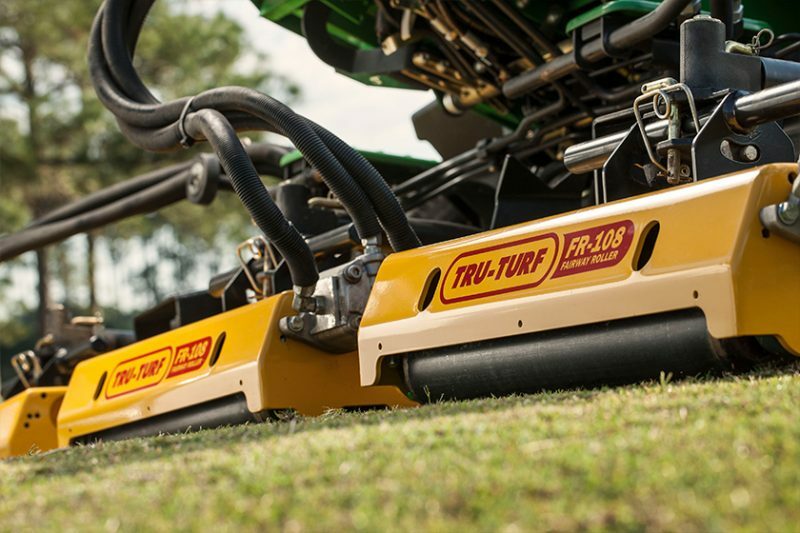 Tru-Turf rollers deliver their exceptional performance at almost twice the speed: more than 19km/h. The low weight of a Tru-Turf roller makes for a highly manoeuvrable machine. The joystick system delivers much better control than the steering wheels used in other machines. In fact, the greater leverage provides a power steering-like level of lightness and precise control. Tru-Turf have incorporated, patented self cleaning nodules on the drive roller of the R50-11. 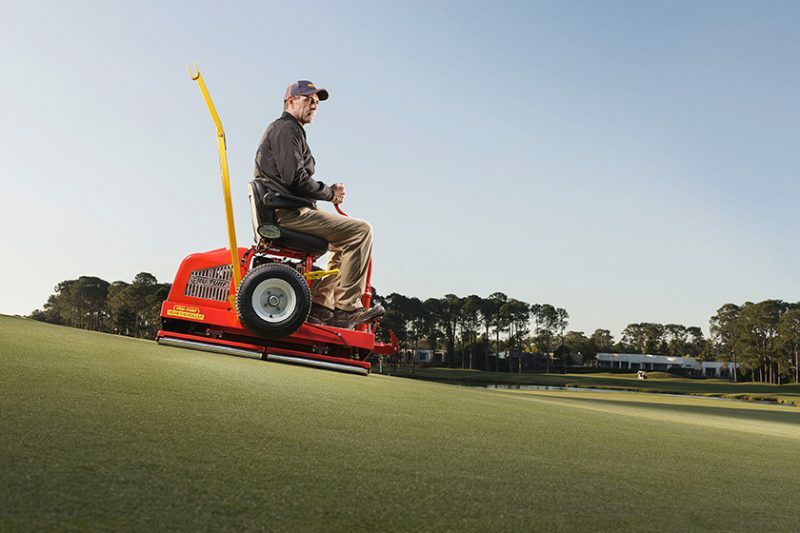 These remove clipping build up from rolling to eliminate dumping and keeps the smoothing rollers lean of debris for a smoother more even roll.